You may not be in Rio but you face an Olympian contest every other day at work where there are (rat race is history and passe!) daily episodes of gorilla gobble. Human Resources can tell you how Herculean has become the task of finding and retaining talent. There is no doubt that most firms have a level playing field in terms of technology, information, and availability of finance. In addition, the availability of labor as always exceeds the availability of vacant positions. However, because it is a level playing field also for greedy sharks, retaining existing talent has become sardard of serious proportions for today’s HR honchos. Employees are walking a tightrope trying to adjust to the paradigm shift in their intellectual approach to work. In the past you were paid for performance – a company was looking for a high set of skills, you had them, and you both came together in a contract. The new reality is that you will be compensated to the extent of value you add to the organization in terms of profitability, regardless of your level of performance. Companies are now coming up with high-intensity motivational approaches that herald a shift from performance-oriented pay to result-oriented remuneration or gain-sharing. For you, this is nothing short of bheja-fry, because you had not been looking for partnership, but just a job that equipped you and your family to enjoy your daily dal-chawal. Now, too much tension, yaar, robbing you of the joy of family life. ‘Scent’ your success. 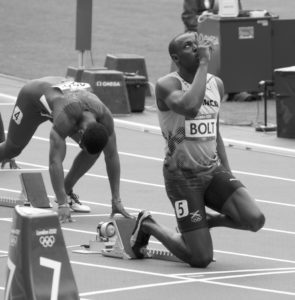 Some of the athletes smell lavender oil and listen to a certain song during training and then just before a competition. They share that it elicits strong emotions because they help trigger the unconscious brain, pushing a person into a really positive state of mind. Think hard. What are the smells and sounds that give you the feeling of success? Start using them to better advantage. Press the ‘mental’ play button. Many of the Rio contestants have rehearsed scripts that they have written and internalized long before – mental movies starring themselves and reminding them of things they have done successfully before. When you do this, at unexpected turns when likely-calamity rears its unpredictable head, don’t let the nerves hit and run. Press the play button and see how fast the mental movie combats negative thoughts that can strive for dominance when a person is under pressure. Create a bubble: More important – do not let anyone burst it. A sports psychologist gave his athletes this advice: “You want to be inside your own little bubble; you don’t want to let anything from outside the bubble penetrate it or burst it.” How can you use this analogy in the workplace? Create your bubble before you start work. Clearly list, in point form, what you are going to accomplish before leaving for the day. Then stick to routines, focus on one task at a time, on all the other stuff to be covered, shutting out anything irrelevant to the task on hand. Mercilessly ward off bubble-busters. ‘Tingle’ with the pleasure of pressure: Olympians literally sigh and die to be Olympians because they t h r i v e under pressure. They would not be in Rio if they fought shy of deep quivers in the pit of the stomach – they embrace butterflies not shoo them away. In the workplace, tension and pressure are interpreted as being negative forces in our life. 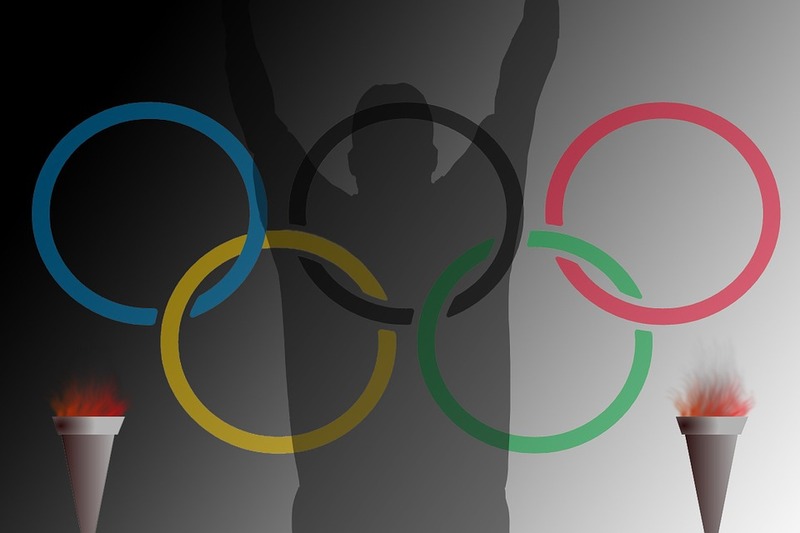 Learn from the Olympians, and make them a privilege – love and chase deadlines instead of burying them. Tell your mind, heart, and body: “This is important to me, and I am going to ensure it gets done.” The tension psyches you up to give of your best. Tingle, scent, play, and bubble up – and watch the ‘new you’ stun your superiors and knock your critics in the solar plexus. Take a bow.